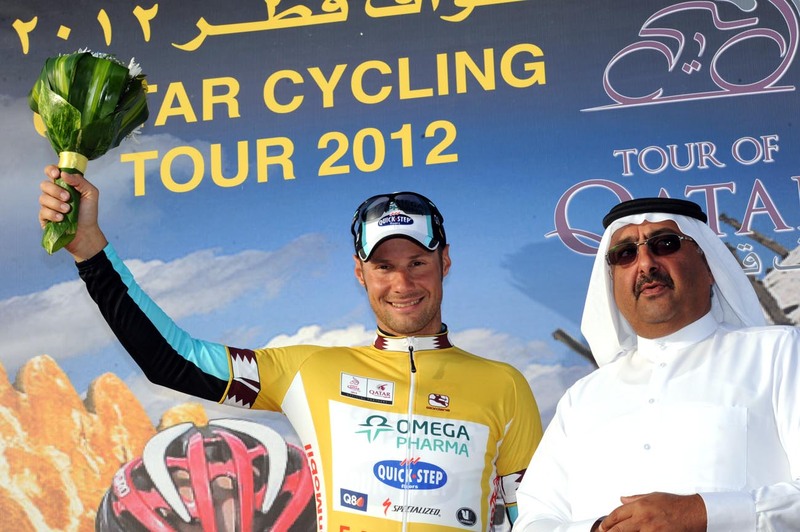 The Garmin-Barracuda team flew to Tour of Qatar team time trial success this afternoon on the outskirts of Doha, Tom Boonen kept the race leader’s gold jersey by the narrowest of margins. Seven seconds separated Boonen’s Omega Pharma-QuickStep squad from the winners after the 11.3-kilometre test: just enough for second place, and top spot by three hundreths of a second to rival Tyler Farrar. Mark Cavendish led Team Sky over the line for third, nine seconds in arrears. The Manxman looked to be back towards his normal self after being weakened by illness on the eve of the race. The TTT, a mixture of arrow-straight, flat roads and intermittent roundabouts, on the access roads of the Lusail motorcycling circuit suited Garmin-Barracuda well. They went like proverbial motorbikes: one rival directeur sportif called them “unbeatable”. Part of the winning team was Jack Bauer, who joined this winter from leading British squad Endura. “It’s good to come away with an early win. The team worked well out there,” Bauer said. “I don’t think we could have gone any faster. We hit the corners well, we were good as a unit,” he added. With the wind expected to pick up overnight, tomorrow’s 146.5km third stage between Dukhan and Al Gharafa Stadium could see decisive echelons forming and another GC shake up.